To improve dull, lifeless skin that makes you look older than you are, you have many options. For an easy, non-invasive way to smooth skin, many women and men turn to simple exfoliation. This helps reduce dead skin cells, excess oils, and other debris to leave your skin fresher and softer. However, there’s mere exfoliation and then there’s dermaplaning exfoliation. Dermaplaning takes the freshening aspects of exfoliation and amplifies it to skin-rejuvenating levels that are simply stunning. At Cosmetic Laser Dermatology in San Diego, our staff of board-certified dermatologists and skin-rejuvenating specialists care about the health and appearance of your skin, which is why we provide the latest in non-invasive techniques and procedures designed to help you look and feel your best without causing significant downtime or discomfort. And dermaplaning is one of the safest and most effective treatments we offer to improve your skin. Dermaplaning is a quick, noninvasive procedure that scrapes away dead skin cells, excess oil, and other debris. This helps maintain or restore the rate of cellular turnover that’s crucial to keeping your face fresh and youthful-looking. The result is skin that’s smoother and softer immediately. In effect, by scraping away dull surface skin, the procedure kicks the body’s self-healing properties into high gear. In turn, your body produces new skin cells that are healthier and plumper, which firms and tightens your skin while also brightening it. But there’s more. This painless procedure also removes the fine peach fuzz, or vellus hair, from the face. This is a crucial bonus because this excess hair, despite being so fine, can trap dead cells, oil, dirt, and other debris, all of which contribute to dull, lifeless skin as well as other skin issues like acne. Furthermore, because your skin is free of this debris, makeup can go on more easily and won’t cake as quickly. Cleansers that you use at home clean your face better because they penetrate more readily. 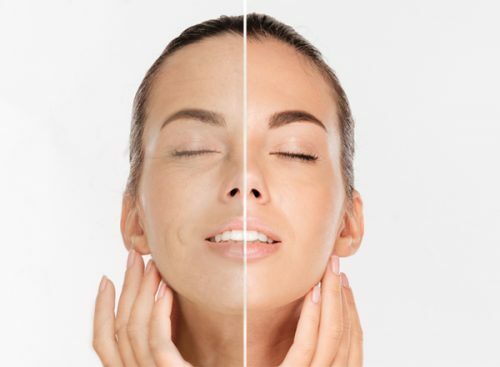 In fact, at Cosmetic Laser Dermatology, we often use dermaplaning as an initial, “pre-treatment” therapy before other facial procedures, such as non-ablative laser skin resurfacing or chemical peels, to help prepare the skin so that these other procedures are more effective. Our dermatologists have more than 100 years of combined experience, and we specialize in non-invasive treatments designed to give you optimal results with minimal downtime and discomfort. Each member of our staff is warm and compassionate, and we take the time to address your concerns and answer your questions. Each treatment you receive is customized to meet your needs and personalized to help you achieve your aesthetic goals. Contact Cosmetic Laser Dermatology in San Diego today to discover how this safe, painless, and effective procedure can rejuvenate your appearance. The procedure consists of using a fine scalpel to gently scrape off the top layer of skin cells that’s full of debris like excess oil, dead and dirty cells as well as other surface blemishes. This allows the fresh skin underneath to rise to the surface, resulting in a smoother, brighter complexion. Because this blade is the same ones used in surgical procedures, you shouldn’t trust this process to anyone other than a trained professional. In the hands of our skin experts, the procedure is painless and quick. In fact, the process can take as little as 15 minutes, depending on the extent of the area to be treated. The meticulous removal of this layer of skin cells is akin to shaving. First, your skin will be thoroughly cleansed, toned, and dried. Next, the targeted area of your skin will be pulled while short, swift strokes scrape off the layer in which the dead skin cells, peach fuzz, excess oil, and debris are trapped. Afterward, a gentle facial massage may be performed, at which time special aftercare products, such as UV protection and moisturizers, may also be applied. You’ll leave the appointment with clean, bright skin free of redness and irritation and ready for makeup (if you so choose). Essentially, dermaplaning is safe and effective regardless of your skin type and skin condition. However, if you have cystic acne that’s deep, we strongly suggest waiting until it clears up before undergoing this treatment. If you’re looking for a full skin rejuvenating procedure that’s both noninvasive and nonsurgical, this is an excellent choice. This procedure is also a fantastic alternative to more intense skin rejuvenating procedures if you’re pregnant or nursing because there are no chemicals involved. Both treatments are considered forms of exfoliation, but they differ in their methods. As discussed above, dermaplaning employs a surgical scalpel to safely scrape off the top layer of skin cells and fine hair. On the other hand, microdermabrasion employs a device that essentially sands your skin, suctions up dead skin cells, and cleans clogged pores. They also differ in the conditions they correct or address. While dermaplaning is excellent for specific issues, such as the removal of fine hair, microdermabrasion is excellent for a brighter, more polished look because it goes deeper. However, both methods are effective exfoliating procedures for anyone with any type of skin or skin issue, so it often depends on your personal preference as to the procedure you actually undergo. That’s why, before undergoing any treatment for your skin, you should talk to a professional, experienced, board-certified dermatologist to explain your aesthetic goals and to have your skin condition assessed in person. For the safest, most effective skin rejuvenation treatment for you, schedule a consultation with the experts at Cosmetic Laser Dermatology in San Diego today. A: Dermaplaning is a skin exfoliation method consisting of gently scraping off the top layer of dead skin cells and other debris, as well fine vellus hair, so that smoother, fresher skin may surface. The result is a brighter, more youthful-looking complexion. Q: Is dermaplaning safe for all skin types? A: Yes, it is safe for all skin types and colors. It’s a procedure similar to shaving, which means it’s no more painless than shaving your legs or face. Q: Are there any side effects to dermaplaning? A: Not at all. In fact, there is no downtime or recovery. When you finish a session, your skin may be a little pink and sensitive to the sun, so wearing a broad-spectrum sunscreen that’s at least SPF 30 is strongly recommended to reduce the chances of hyperpigmentation. Q: When I will see results? A: Immediately. After your session, you’ll leave with skin that’s radiant and reinvigorated, skin tone that’s more balanced and even, and skin that’s soft and smooth. In fact, if you’re like many of our patients, the first time you undergo dermaplaning, you’ll be pleasantly surprised at how soft your face is since you’ll have no more peach fuzz. Q: I’m a busy person – how long is a treatment session? A: We at Cosmetic Laser Dermatology understand how busy you are. That’s why the dermaplaning treatment is a popular one, as a session can take 15-45 minutes, depending on the size of the treatment area and any additional treatments that are combined with dermaplaning. This makes it perfect to have done during lunch or some other extended break. A: No, it won’t. Since we are removing fine vellus hair only, it will not grow back thicker or darker. Q: How can I care for my skin after a treatment? A: Your skin will need time to heal and refresh itself, so for best results, your aftercare should involve daily sunscreen and 2-3 days of gentle cleansing using only your hands instead of a cloth. Q: How often can I undergo a dermaplaning session? A: We recommend at least 4-6 weeks between sessions. One treatment removes 3 weeks’ worth of dead skin cells and debris, so your skin needs to complete its natural healing and rejuvenation cycle before you seek treatment again. Q: How much is dermaplaning at Cosmetic Laser Dermatology? A: While dermaplaning is normally a cost-effective way to receive safe, effective exfoliation, the cost varies depending on the size of the treatment area as well as your skin condition. To find out for sure how much it would be, schedule a consultation with our skin rejuvenation experts so they can visually examine your skin for an accurate assessment. A great alternative to dermaplaning is microdermabrasion. It’s a safe, effective, non-surgical facial rejuvenation procedure. Because it goes deeper, microdermabrasion is considered more readily customizable. In fact, if you have the time and your skin is resilient, you can even undergo a combination dermaplaning-microdermabrasion treatment in the same session for even more enhanced, stunning results, . To find out more about dermaplaning and other skin exfoliating treatments, schedule a consultation with our skin rejuvenation experts today.